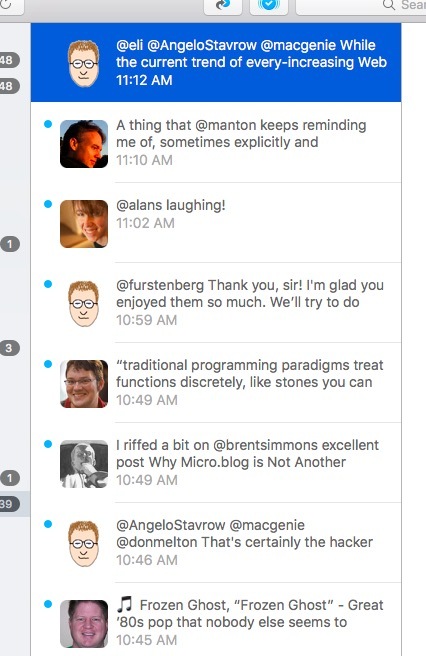 The screen shot shows what microblogs currently look like in Evergreen. It’s on the to-do list to have entire posts show in the timeline (as they do in a Micro.blog client), but that probably won’t make it into 1.0. Hopefully soon after, though.